No Tools No Drilling Amazing Locking Suction Grab Rail securely mounts on any vertical or horizontal flat surface in seconds, without tools. 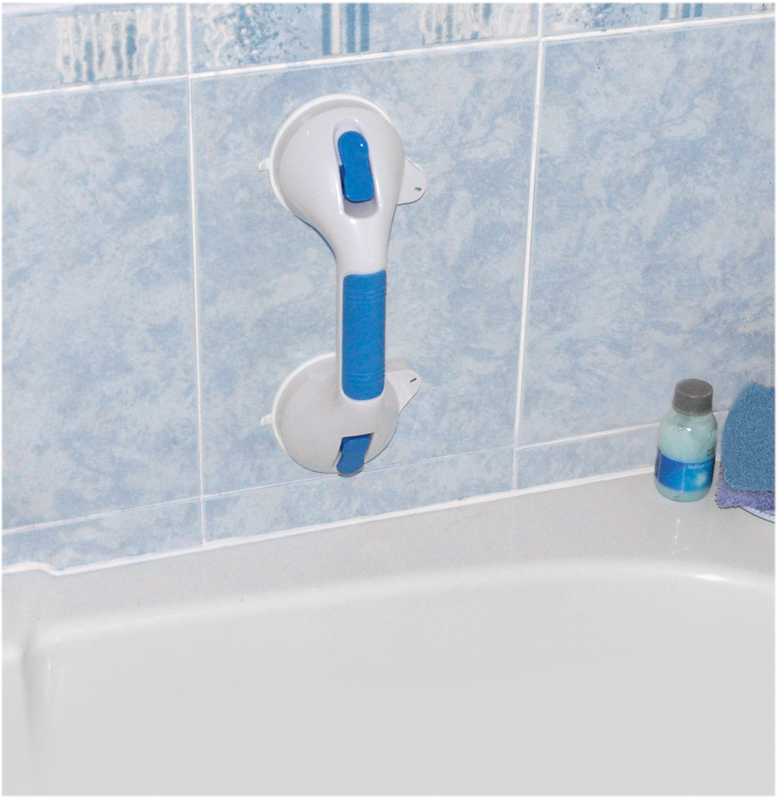 The powerful twin suction cups hold the bar tight to provide support and added security while getting in and out of the bath or whilst showering. Can be quickly, conveniently and easily relocated, with the use of the flip-up tabs. 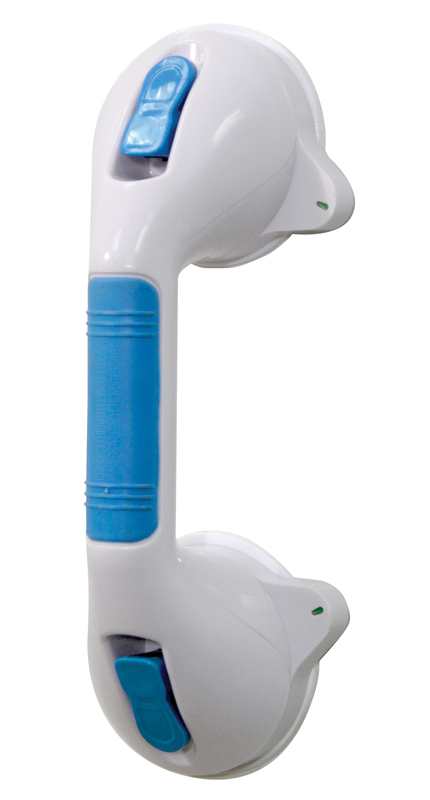 Ideal for those who need assistance while bathing, super for travelling and family visits etc. Not to be used to sustain body weight. Suction cup diameter: 9cm (3½") approx. Thank you for the order unfortunately it doesn\'t work in our bathroom ,but we will take it away with us and it will help. Excellent piece of kit. I bought this item following a recent hip replacement. The really strong suction gives confidence in the shower. easy to set and relocate. I would definitely recommend this grab rail. Bought the grab rail to use in the shower. Grabs strongly to plastic shower back. I feel much safer and confident having a shower. Ideal. Ideal product if you don't want to drill holes into your bathroom tiles or only need the rail in the shower for when elderly friends and relatives are visiting. Provided the surface is smooth the grab rail will stay in place very firmly. Also great to take in your luggage if you are going to stay away from home. I am impressed by the quality and suction strength of this grab rail needed for my holiday let shower. I made sure to leave the instructions for use out. Very easy to fit too and very prompt delivery. super, exactly what i wanted.